"if u dont write another 1 of those freakin' scandels about me, i might b ur friend...(as far as fandome goes, ive been paired up w/ every charector...girls AND boys!-_-')"
Joined: 2007-03-17 Location: LOCATION!? STALKER!!!!!!!!!!!!!!!!!!!!!!!!!!!!!!!!! Any way, take a look @ the rest. who said i cant dance!? freakin shippuden freaks...get the hec outta here b4 i kill u!! whoa- were the HECK did the jewelry come from!? t-t-training cards!? r those supposed 2b training cards!??? what do i look like, a pokemon!? y doesnt any1 get that!? an OK pic of me. herez me as a little kid. the year i was scarred 4 life. my group when we were little kids. 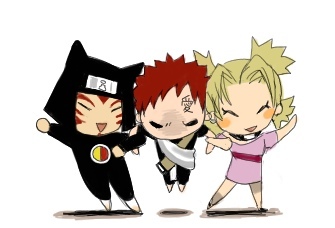 temari: awwww! we were so cute! 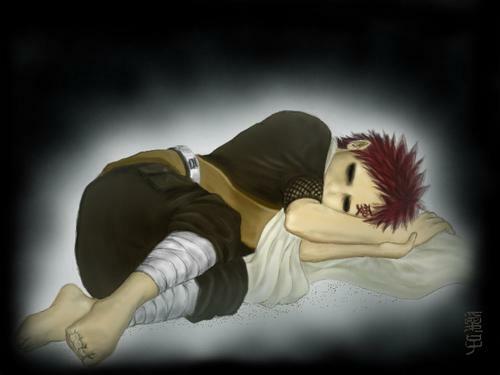 me: *sweatdrop* -_-' um...RIGHT temari, seen as that was back when i killed people on reflex. this was when naruto figured out i was the kazakage. aaaaaaaaaaaaaaaaaaaaaaand...heres a picture of me hitting my sister. no, i am not abusive...anymore. •love life- none, & if you write another freakin scandal (Hinata, sakura r the 2 most seen- & hinata luvs naruto, sakura luvs sasuke!! duh! morons!!!!) ill rip ur sorry head off!!!!!!!! •hates- stalkers, assasinators, scandels, pervs, ect... but the thing i h8 most is people who think IM any of those things!!!!!!!!!!!!!!!!!!!!!!!!!!!!!!!!!!!!!!!!...jerks. i also h8 people wo think im emo, but i dont h8 emos. Login or register to add gaara4fr as your friend!